London is gearing up for an unforgettable celebration of The Queen’s Diamond Jubilee, marking the 60th anniversary of the reign of Her Majesty Queen Elizabeth II. 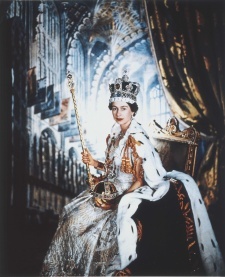 The Queen came to the throne on February 6th, 1952 and her coronation was on June 2nd, 1953. This anniversary is a special occasion in British history as only one other monarch has celebrated a Diamond Jubilee before, and you’d have to go back to Queen Victoria’s Diamond Jubilee in 1897. Celebrations are taking place over a long weekend from June 2nd to the 5th when London will be transformed into a festive setting for events, parades and commemorations for Queen Elizabeth. If you’re in London for the Diamond Jubilee celebrations, you’re in for a once in a lifetime experience. Or if you’re traveling to London later this year, you’ll be able to experience the excitement of the Diamond Jubilee by visiting one of the many exhibitions dedicated to The Queen at museums around London. Here’s a look at what is in store for the Diamond Jubilee celebrations and fun things to do in London! London will be celebrating all weekend, and here’s a breakdown of the main events taking place for the Diamond Jubilee in London. For the latest news and details on events, visit the Diamond Jubilee website. The royal festivities kick off on Saturday, June 2nd with the Epsom Derby where The Queen will be in attendance for the most prestigious horse race of the year. 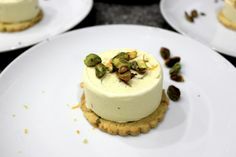 People throughout the UK are joining in a nationwide celebration with the Big Jubilee Lunch on Sunday, which is based on the popular Big Lunch events where people gather together to enjoy lunch with street parties, picnics and other events. What a perfect way to celebrate the holiday weekend! The key event of the day will be the Thames Diamond Jubilee Pageant, which will take place on the River Thames and include up to 1,000 boats created all over the UK, the Commonwealth and around the world. Find a spot to watch the amazing boat parade, including the Royal Barge, the Spirit of Chartwell, that will carry The Queen and The Duke of Edinburgh. This is an event not to be missed as it is expected to be one of the largest flotillas gathered on the Thames in 350 years. Here’s a video that will get you excited for this incredible event! Join in the fun by heading to the banks of the Thames to watch the river parade. The bridges, riverside roads and piers will be closed to traffic and 50 big screens set up long the parade route so onlookers can enjoy views from all the best vantage points. Events on Monday are focused in the evening on the BBC Diamond Jubilee Concert at Buckingham Palace, a musical extravaganza organised by the BBC with some of the biggest British and Commonwealth artists. The Diamond Jubilee website has already announced that this special concert “will include classic hits and one-off collaborations from artists including Shirley Bassey, Alfie Boe, Jools Holland, Jessie J, JLS, Elton John, Tom Jones, Lang Lang, Annie Lennox, Madness, Paul McCartney, Cliff Richard and Ed Sheeran. Other names will be announced in due course.” Tickets were allotted by ballot to 10,000 lucky UK residents, but the rest of us can enjoy the concert staged around the Queen Victoria Memorial at Buckingham Palace on the live BBC broadcast. The website has also announced that “the concert will be broadcast live on BBC One, BBC One HD and on BBC Radio 2 in the UK and to millions around the world. Viewers in the United States will be able to watch exclusive highlights on ABC the next day.” Tune in to enjoy this amazing concert! After the BBC concert, The Queen will light the National Beacon outside Buckingham Palace, which launches The Queen’s Diamond Jubilee Beacons. This network of over 4,000 Beacons will spread across the United Kingdom, Channel Islands, the Isle of Man and the Commonwealth. To find out more about the history of the Beacons and events this year, visit the Queen’s Diamond Jubilee Beacons website. Diamond Jubilee celebrations will come to a grand close on Tuesday with a day of celebrations honoring The Queen. The day begins with a Thanksgiving Service at St. Paul’s Cathedral, followed by a lunch reception at Westminster Hall, the celebrated Carriage Procession to Buckingham Palace and the hugely popular Balcony appearance, which will be capped off with a Flypast by the Royal Air Force and a Feu de Joie from the Forecourt. This is the grand rifle fire salute given by The Queen’s Guard and the National Anthem performed by the Band of the Irish Guards. Join in the fun with the crowds of people looking to catch a glimpse of The Queen and Royal Family during the Carriage Procession. 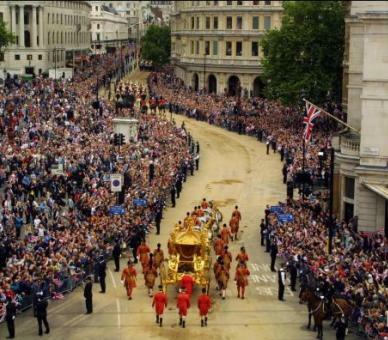 Expect the Diamond Jubilee Carriage Procession to be even more impressive than the Golden Jubilee Procession in 2002! 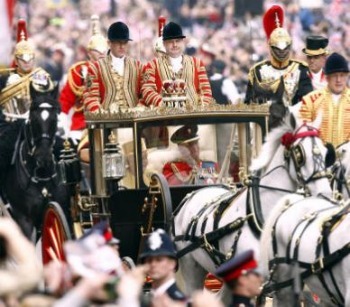 The Carriage Procession will be one of the most elaborate and beautiful parts of the Diamond Jubilee celebrations. In addition to The Queen and The Duke of Edinburgh, many other members of the Royal Family will be in the Carriage Procession, including The Prince of Wales and The Duchess of Cornwall, The Duke and Duchess of Cambridge and Prince Henry of Wales. Expect the crowd to burst into enthusiastic cheers as the beautiful carriages pass! Some of the most exquisite carriages will be on display, including the 1902 State Landau carrying The Queen and Prince Philip. To find out more about the scheduled route for the Carriage Procession and the official Order of Service for the day, visit the Diamond Jubilee website here. The Queen’s Diamond Jubilee is being honored and celebrated with a series of exhibitions at museums throughout London. Many of the exhibits run through autumn 2012, which means you can enjoy the Diamond Jubilee during your holiday in London even if you weren’t able to experience the festivities in June. Kensington Palace has recently reopened to the public after a massive $19 million dollar renovation that took two years to complete. The opened was planned to coincide with the Diamond Jubilee celebrations and the London Olympics later this summer. 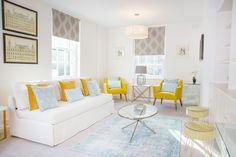 We took a walk through Kensington Palace on opening day and were amazing by the transformation. It has always been one of our favorite spots in London, and now it really does feel like an Enchanted Palace! The exhibits are lively, whimsical and fun for the whole family. 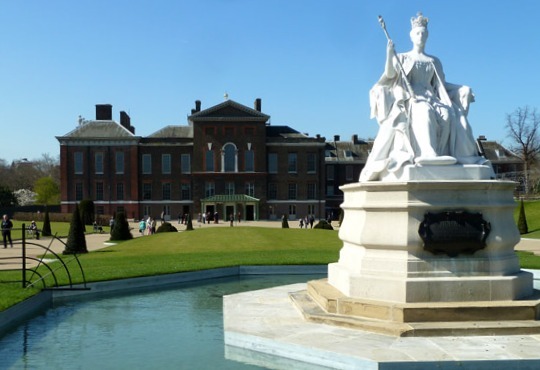 To celebrate the Diamond Jubilee, Kensington Palace has an exhibit Jubilee: A View from the Crowd, which is dedicated to Queen Victoria’s Diamond Jubilee in 1897. It’s fascinating to see the parallels and compare events! The exhibit runs from 24 May to 4 November 2012. The National Portrait Gallery is hosting The Queen: Art and Image, an exhibit dedicated to the most iconic and resonant portraits of Elizabeth II made during her reign. While entrance to the museum and collections are free, special exhibits like this one are ticketed. Booking your tickets in advance on the National Portrait Gallery website is recommended, especially for weekend visits. Exhibit runs from 17 May to 21 October 2012. Buckingham Palace is presenting one of the most exciting exhibits to celebrate Queen Elizabeth II’s Diamond Jubliee. In connection with the summer opening of the State Rooms at Buckingham Palace, visitors will also be treated to the special exhibit Diamonds: A Jubilee Celebration. Three centuries of diamonds will be on display including seven of the nine stones cut from the world’s largest diamond, the famous Cullinan Diamond, which have been brought together for the first time. (The other two are part of the Crown Jewels.) The State Rooms and the special exhibition will be open from 30 June – 8 July and 31 July – 7 October 2012. At the Victoria & Albert Museum visitors can take a different sort of walk through British history at the Ballgowns: British Glamour Since 1950 exhibit that runs from 19 May to 6 January, 2013. In honor of The Queen’s Diamond Jubilee, the National Maritime Museum is presenting the special exhibition Royal River: Power, Pageantry & the Thames highlighting the interconnected history of the British monarchy, City of London and the Thames. Exhibit runs from 27 April to 9 September 2012. For all the latest details on the Diamond Jubilee, visit the official website of The Queen’s Diamond Jubilee where you can find the latest news, events in London and even send a letter to The Queen. 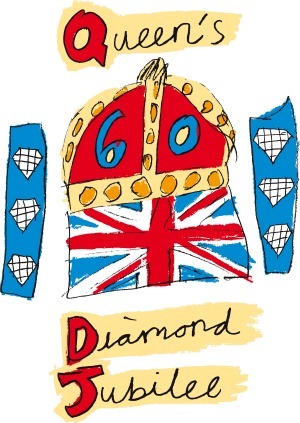 We hope you will enjoy this special occasion and all the fun things to do in London for the Diamond Jubilee! PREVIOUS: London’s Enchanting Kensington Palace! 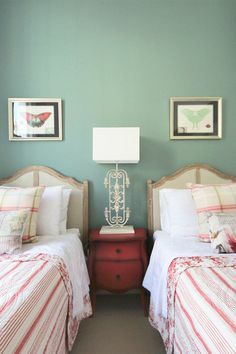 Posted on Thursday, May 31st, 2012 at 6:45 am in What's On. You can follow any responses to this entry through the RSS 2.0 feed. You can leave a response, or trackback from your own site.